Forcing bulbs to bloom indoors is one of the best ways I know to chase away cabin fever and the winter blahs. Plus, it’s fun and a project the kids can help with. They’ll love watching the bulbs grow roots, leaves and then flowers. You don’t need anything special, except the bulbs, along with a sturdy container to hold six or so inches of soil, small rocks, pea gravel, decorative marbles or anything else that will be heavy enough to anchor the bulbs as they grow and bloom. Leave space of at least an inch between each large bulb, such as hyacinth, that you will be forcing. For the smaller ones, like crocus and muscari, you can bunch them together, much as they would be outdoors. This process takes several weeks, largely because to induce bulbs into blooming out of season and indoors, we must put them in cool to cold temperatures, along with fairly dark conditions before their little inner clocks tell them to bloom once you bring them into the warmth and sun. In other words, we have to mimic nature to force bulbs indoors. But it’s really not difficult. Daffodils, hyacinth and tulips need to spend several weeks in a cold, dark place — like the back of your refrigerator — before they will bloom successfully indoors. These cold, dark conditions approximate the winter season, which is the time that these flowers spend in growing roots and forming their flowers. Others, such as narcissus, will bloom quickly and easily if placed in a dark, cool garage for a few weeks. So, think ahead if you’re planning a holiday centerpiece of forced bulbs. Also, remember that crowds of forced bulbs are more dramatic. For small corms, such as crocus, plant ten or so in a 6-inch diameter container. But, when forcing larger bulbs, like tulips, insert only about three to a 6-inch pot. Place the containers in a sunny window, turning them daily, especially when you see new shoots starting to grow. After blooms have formed, give them plenty of sunshine or several hours of strong indoor light per day. Bulbs leaning toward a light source means they aren’t getting enough of it. Water once a week or so. Forced bulbs don’t need to be fed unless you intend to transplant them later outdoors. Feeding now won’t help the current blooms, which are being fed out of the existing bulb. But it will help the next year’s blooms. Try forcing and kinds of bulbs you like. Plant corms in soil and then water. Place the container in a refrigerator or a cool basement, garage or closet. Water periodically to keep the soil moist. Keep moist during this period. After eight weeks, move the container into a sunny—but cool—location. Plant bulbs in soil, allowing the “necks” to remain exposed. Water well and then place the container in the refrigerator. Root development will take eight to 12 weeks. After that, put the container in a sunny window. These smell great! Plant in soil and then water well. Refrigerate for seven weeks. 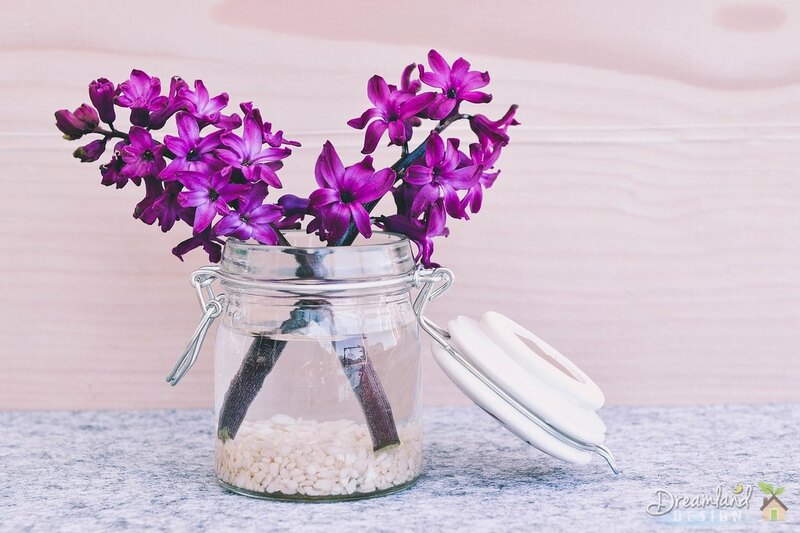 A single hyacinth bulb also can be placed in a special vase that covers the root-end in water. This also should be refrigerated for seven weeks. After that, both the vase and the container with soil should be placed in a partly sunny spot for about a week, and then moved to full sun. Plant these in a bowl or dish filled with pebbles, gravel or small rocks. Push the bulbs into the pebbles until they firmly held in place. They must be stable to support the flowers and leaves they will produce. Water enough to cover the bottom of the bulbs. Place the container in a dark, cool garage, basement or closet for about two weeks. Keep watering as needed to cover the roots that will form. After two weeks, move to a sunny window. These bloom quickly! Plant in soil, allowing the tips of the bulbs to protrude. Water well and refrigerate the container for 12 weeks. Remember to water weekly. After 12 weeks, move to a cool, dark basement, garage or closet for another two weeks. Then move to a warm, sunny window and the blooms should start to emerge.